As I sit in front of the fireplace, warm and toasty, outside the wind continues to increase in speed, the rain falls at sharp angles, and the gray skies hang low and ominous. It doesn't look like we'll be fishing in the very near future, and who knows what the rivers will look like when we do, as they are calling for serious rainfall late today into tonight. I do know the fish will still be there, they just may be holding in newly formed runs and holes, as is often the case when flood waters reshape the river beds. In the meantime, I thought I would share some more photos from our Montana trip last month. 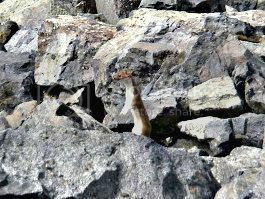 This little guy, a pine martin, watched me and Mr. Q as we fished a fast run on the Madison below his rocky bank. He stuck around and watched closely, perhaps looking for tips on catching trout, until a large bird of prey glided over us and sent him running for cover. 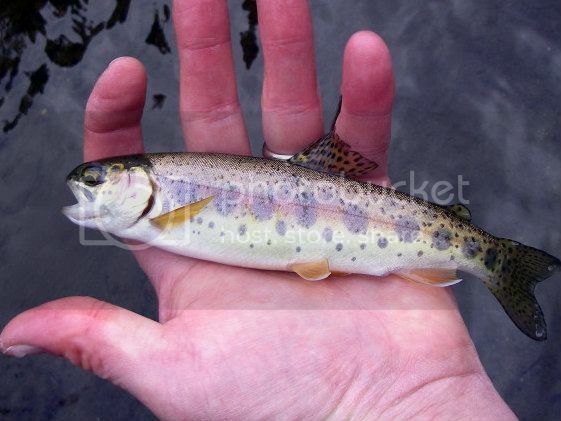 Here's a rainbow trout parr that was feeding heavily on small caddis, hoping to become a monster of the deep someday. From the way it was eating, that may happen sooner than later. 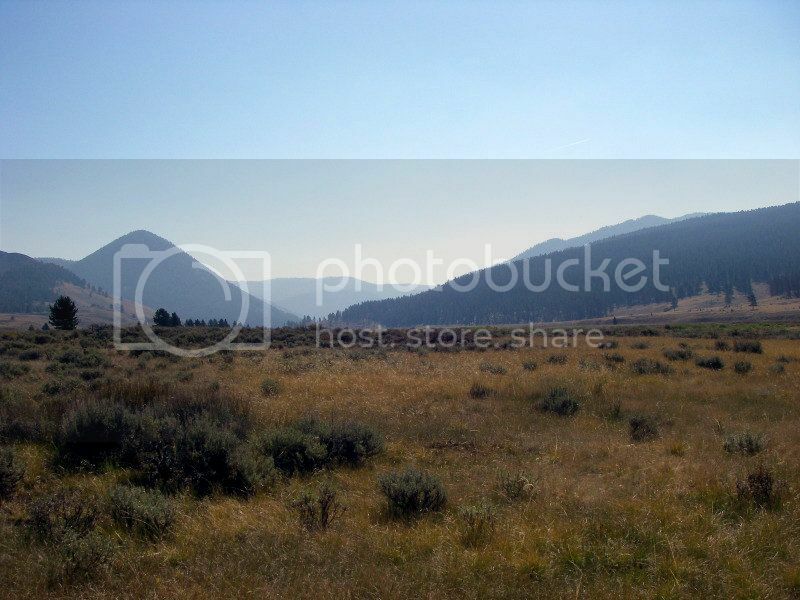 Here is the upper Gallatin River meadows looking northwest - the smog from the Idaho fires dulled the distant mountains. The fires had that piny, burning sap smell that reminded me of those cold nights after the holidays when we'd go to the town mulch area to watch the Christmas tree bonfires when we were kids. 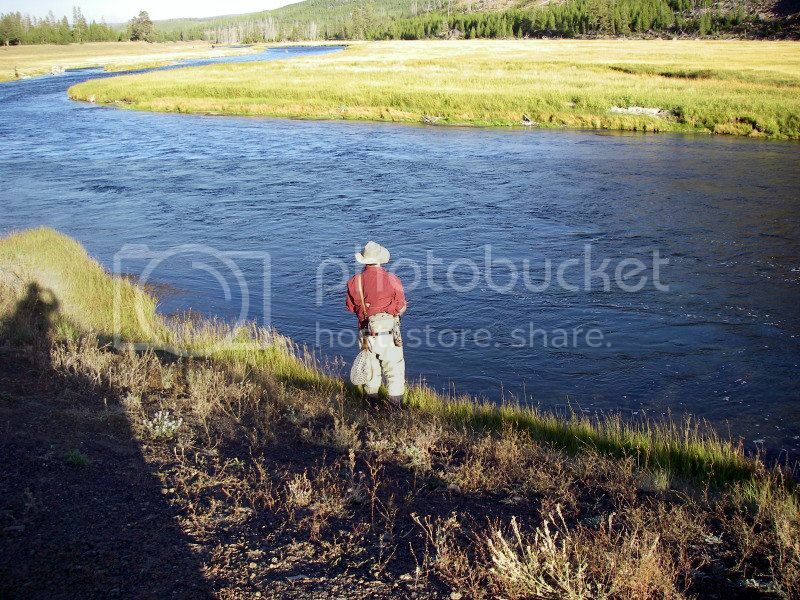 And here's Mr. Q., as he tests his skills (and patience) on the Madison River in the meadows of Yellowstone Park. The wind was brutal that day, and the currents varied and inconsistent, and trout rose everywhere for hours to white miller caddis and blue-winged olives. I'm going to post this before the power decides to go off. If you arte in the Northeast , be safe. Stay cozy and safe my friend.